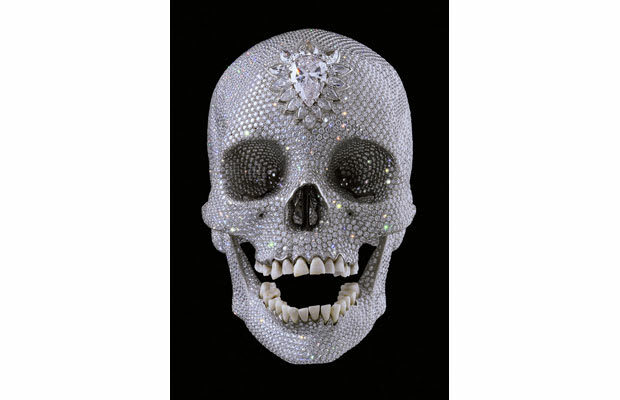 Though covering a human skull with £15 million ($30 million) worth of diamonds is an outrageous act in itself, that doesn’t even begin to describe the outrageousness that accumulated around Hirst’s infamous 2007 work, For the Love of God. He also tried to describe it as a kind of “found art” or junk sculpture in a BBC interview, when he said, “as an artist you always make work from what’s around you, and, you know, money was around me.” But the really weird part of the diamond skull has to do with its sale, or lack thereof. Hirst’s original asking price was £50 million ($100 million), leaving a marginal value of $70 million that represented the pure artistic integrity of the work – that is, for $100 million you get $30 million worth of diamonds and $70 worth of Hirst’s genius. Hirst claims the piece did garner the asking price when it was purchased by a consortium of buyers, including himself, his gallery White Cube, and several other buyers who have together purchased about 50% of the work. However, many in the art world are skeptical that it sold at all, as there is no paper trail and no records of the exorbitant taxes that would have to be paid on a price tag like that. So, either Hirst has earned the highest price for a single work by a living artist, or he has kept up a 5-year lie that says he has.